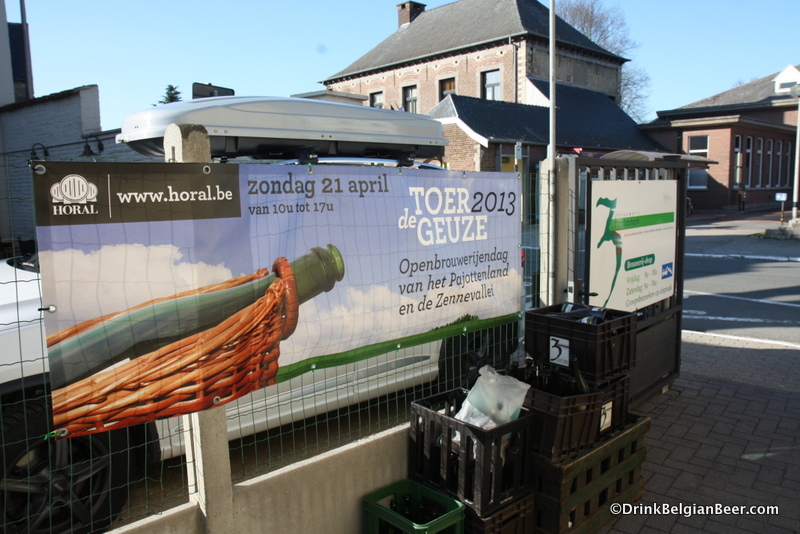 The biggest one day celebration of lambic beer in Belgium, Toer de Geuze, is just three months from today. 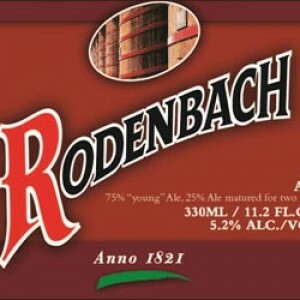 The event, held only every two years, features an open house at most of the lambic breweries and blenderies in Belgium’s lambic country, in the Payottenland and Zenne Valley, areas to the south and west of Brussels. A Toer de Geuze 2013 banner at 3 Fonteinen. 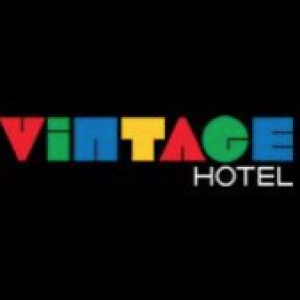 This year’s event will be the 10th edition of the Tour since it began in 1997. It is organized by HORAL, which essentially translates as “The High Council for Artisinal Lambic Beers.” This organization promotes and protects Traditional lambic beers in Belgium, and its members are Boon, De Cam, 3 Fonteinen, De Troch, Girardin, Hanssens, Lindemans, Mort Subite, Oud Beersel, Tilquin, and Timmermans. 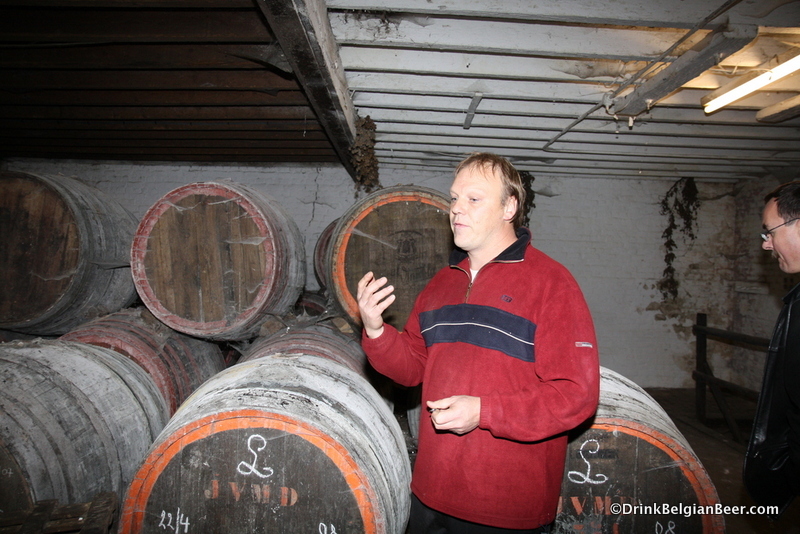 Also, De Lambiek, the superb lambic beer visitor’s center, will be open and part of the Tour. 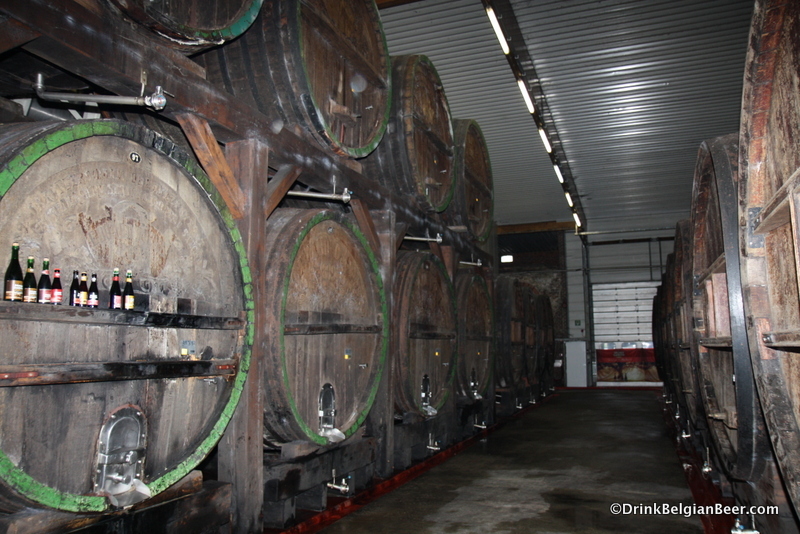 The Hanssens lambic blendery in Dworp rarely opens its doors to visitors, but it will be open for Toer de Geuze. Here is blender John Matthys. 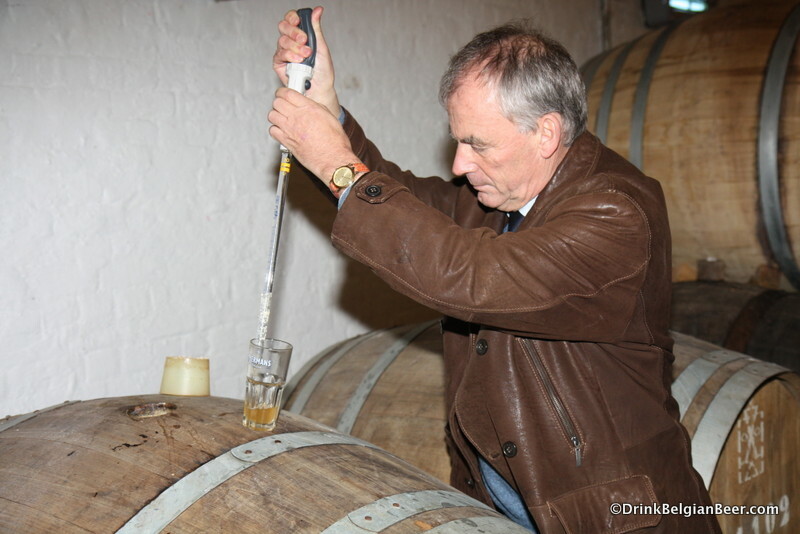 Hanssens blender John Matthys pulling a sample of lambiek from a barrel. Of these, the following places will be participating in the 2015 Toer de Geuze: Boon, 3 Fonteinen, De Troch, Hanssens, Lindemans, Mort Subite, Oud Beersel, Tilquin, and Timmermans. Also, while Geuzestekerij De Cam is not officially part of the tour, blender Karel Goddeau plans to be open for his regular hours that day, from 2pm to 5pm. The Tour itself runs from 10am to 5pm. 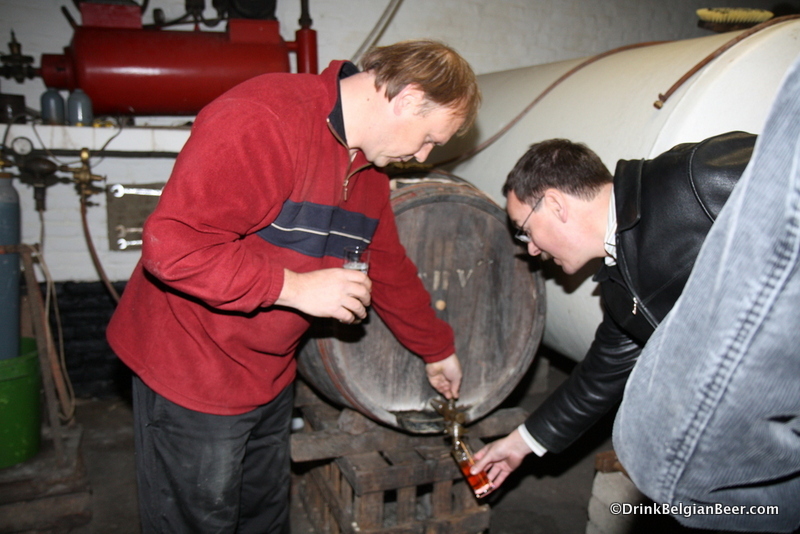 Willem Van Herreweghen of Timmermans pulling a sample of lambic from a barrel. 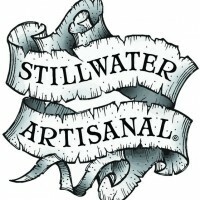 There will be at least one new beer released during the Tour, and possibly more, as it is perhaps the premier event in the lambic beer world. There will be a new Oude Geuze Mega Blend, featuring lambics from many of the different producers on the tour. The first Mega Blend debuted at the 2009 Toer de Geuze, so this new Oude Geuze will be the fourth of its kind. 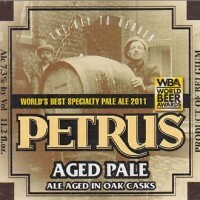 All have been well received and are sought-after brews. 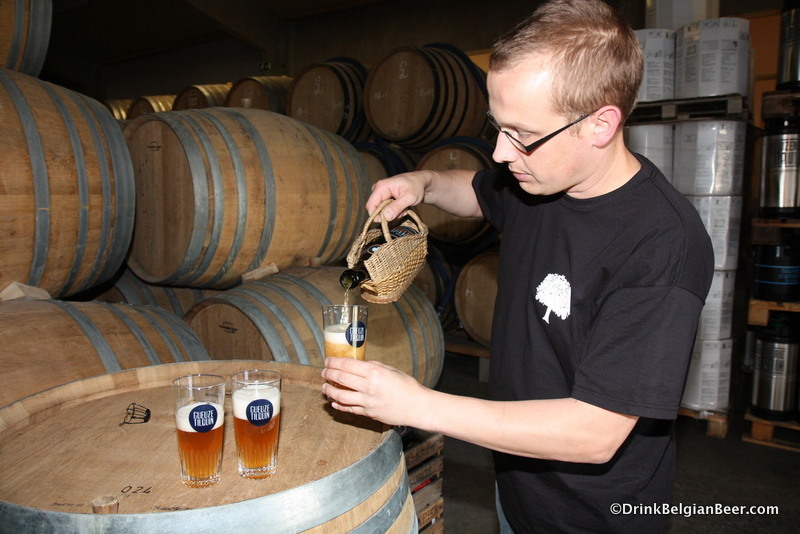 Pierre Tilquin of Gueuzerie Tilquin, pouring glasses of Oude Gueuze. Also, if all goes well, Gueuzerie Tilquin may release a new blackberry lambic, Mûre Tilquin à l’ancienne, during Toer de Geuze. Blender Pierre Tilquin told me: “There are 350 grams of blackberries per liter in this blend (so the blackberries are 35% of the blend.) Mûre will be a very limited release, with 1,800 bottles in the 75 cl size, and 3,600 in the 37.5 cl size.” This sounds like a great reason to attend the tour, as if there were not enough good reasons already! 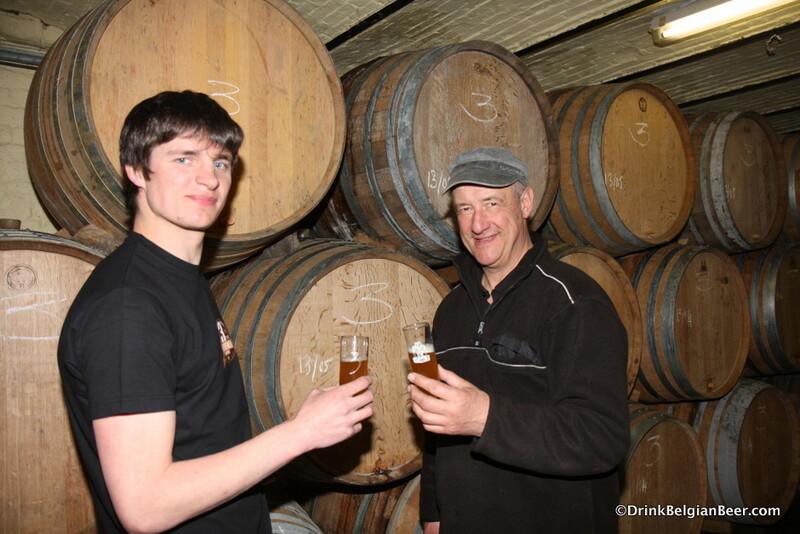 The Mort Subite lambic brewery rarely opens its doors…but it will for Toer de Geuze on May 3! Here are foeders in the brewery. Brouwerij Mort Subite site manager Bruno Reynders pulling a sample of lambic from a foeder. 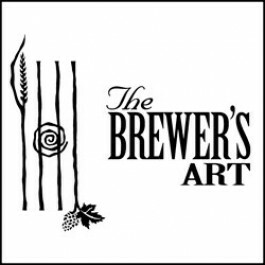 Entry to the breweries and blenderies is free, and you can go there by car, private coach, or however else you can manage. If you don’t feel like driving (and who would?) HORAL has the perfect solution for you, as it is once again organizing buses that will run on different routes to different lambic producers. Spots for these buses and the routes they will run will go live on the Toer de Geuze website on Thursday, February 5. They do sell out every year. Note that most buses will only be able to visit five (six if you are lucky!) 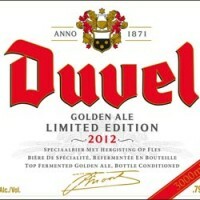 of the lambic producers, due to time constraints. It takes awhile to get around the Payottenland and to spend enough time on each visit. So, my advice is to choose well which places you want to see if selecting a HORAL bus for the tour. 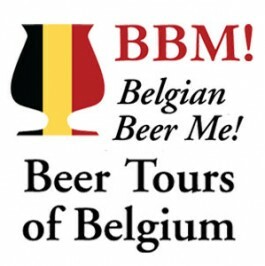 If you would like to try and visit nearly all of these fantastic places, Stu Stuart and his belgianbeerme.com beer tours might have just what you want. The Wild & Spontaneous Beer Tour will run from April 29-May 4, and visit Brasserie Cantillon (which is not a member of HORAL and not part of the Toer der Geuze) as well as De Cam, 3 Fonteinen, and Oud Beersel, prior to the Toer de Geuze on May 3. During the tour, the plan is to visit the rest of the places that are open. As well, this tour will visit some of my favorite lambic specialist cafes and restaurants, such as Volkscafe De Cam and De Groene Port in Gooik, near Geuzestekerij De Cam. 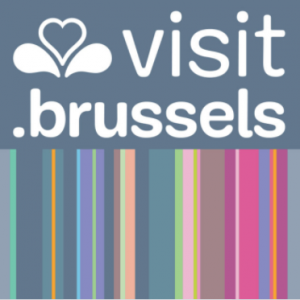 Also on the agenda is La Brocante in Brussels, and a restaurant/cafe in Beersel. See here for full details on the tour.